This is a rather unusual album, especially with its cover that looks more like a 1970s heavy metal LP. This is a reissue of the original LP although a CD release with additional tracks was issued at one point. The original LP was released by HMV after the band had left the label and moved to Fontana. Although the band, in its new composition, did not promote the release it is still a bit of a curiosity. All but one of the tracks are instrumentals. This partly stems from the jazz and blues backgrounds of the original group members but they have also included a number of covers of contemporary as well as traditional tunes. Some of these were released on the group's EPs such as 1966's Instrumental Asylum. Both sides of the debut single, Why Should We Not / Brother Jack, are included as these were excluded from Mann Made Hits. The group had been dropped by HMV after Paul Jones left. They moved to Fontana, Mike Vickers also left after which Tom McGuinness switched to guitar. He was replaced on bass by Jack Bruce from the Graham Bond Organisation. Along with Henry Lowther (trumpet) and Lyn Dobson (tenor saxophone) he played on the Instrumental Asylum EP. After that, of course, Bruce went hypersonic with Cream. With a lack of promotion and no new tracks the LP was initially a poor seller. 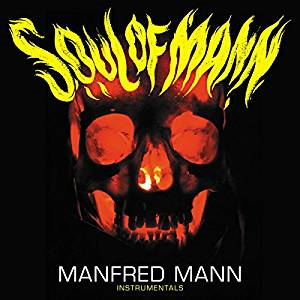 However, it does have some historic interest nowadays as it does includes Jack Bruce's recordings with Manfred Mann. A bit of a curio but interesting nonetheless.